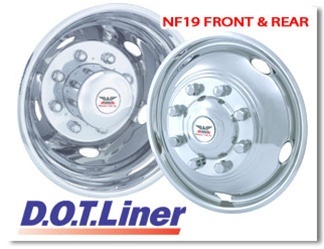 Phoenix USA stainless steel wheel simulators for trucks. For tow trucks, wreckers and rollbacks. Aluminum wheels, center caps, lug nuts, and lug nut covers. D.O.T. 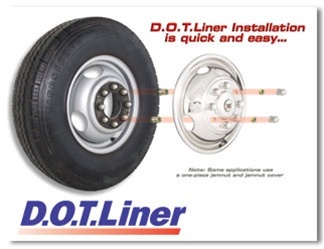 Liner, wheel covers, alcola, quick liner, value liner, eagle, tire, rim, 19.5"
-Over the lug D.O.T liner Phoenix Simulators, bolts on without removing the wheel lugnuts. Quick and easy.